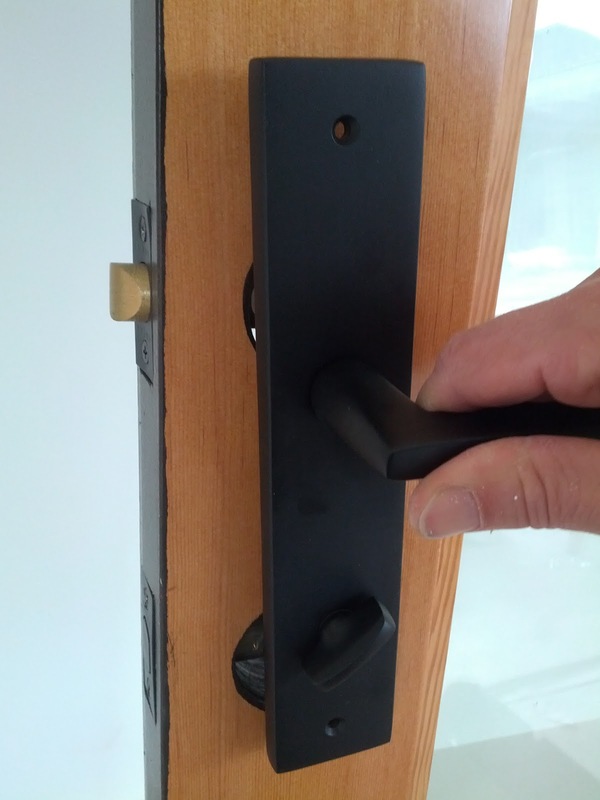 We've been using temporary "dunnage doors" and cheap deadbolt locks up to this point to prevent damage from workers. Only now that we are ready to complete things, do we find the mistake. Of course, all of these doors have at this point been painstakingly painted/finished; days of careful work. This is a mistake by the door supplier. 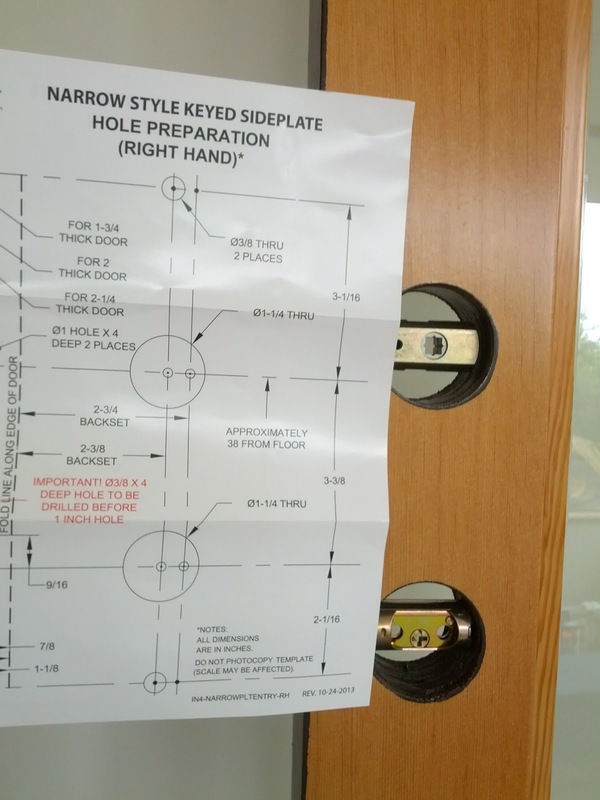 The doors and hardware were ordered together, from them. Hardware was matched to the doors on the schedule. I even asked them to check this particular thing. There have been a good number of mistakes from this supplier. So far they have been very willing to make things good...this one is going to test their commitment. Replace and refinish ALL of the exterior doors on the house. I'm imagining that this discussion is not going to go well. Full size template. Note the hole size and spacing differences.